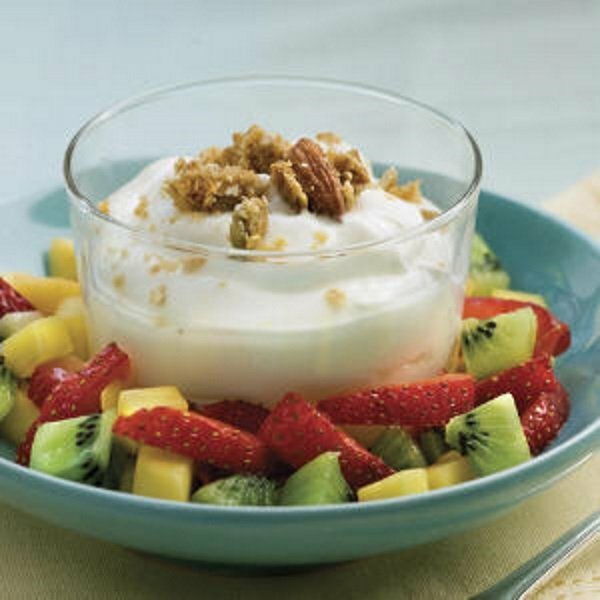 Certain types of Greek yogurt are good sources of probiotics, like Bifidobacterium, which help your gut stay healthy. To make sure your yogurt contains probiotics, look for the phrase “contains live and active cultures” on the label (14). They’re a great addition to breakfast because they are filling and help prevent weight gain (47, 48).